Octagon Communications Ltd has grown to be one of the UK’s leading suppliers of Business Telephone Systems. We are in partnership with three of the markets leading manufacturers in Splicecom, Panasonic and NEC. These telephone systems cover the needs of the majority of businesses in the UK. The Phone System packages we supply are designed for businesses of any size. Octagon Communications cater for small to medium companies up to multi site enterprises. 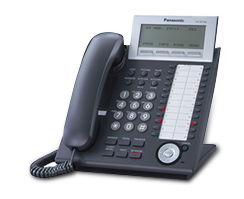 Our ranges of phone systems use a modular design. This is so that you can start at whatever size/features that you need now and grow the system with your business. Octagon design communications systems that integrate with the latest technology available this includes Voicemail, Call Centre Solutions, Computer Telephony Integration, Voice over IP, Call Management Software, Call Recording and DECT Cordless solutions. Our account managers will offer a free consultation to find out your requirements and offer advice and recommendations based on your company’s’ needs. We at Octagon believe that your phone system should be reliable and easy to us, whilst at the same time offer you the technological advances that enable you to run your offices smoothly, improving and streamlining your business’s everyday working practices.